The new Infinix Hot 2 is the first Android One device to hit the market. With awesome specs viz 2 GB RAM, 16 GB internal memory and on Android Lollipop at an affordable price, the Infinix hottest One X510 phone is unarguably the best buy in the market with amazing specifications for the August and September market within the price range of N15,000 to N20,000 in Nigeria. 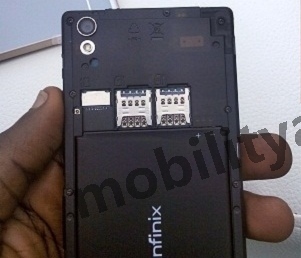 This article shows the review of Infinix Hot 2 specs and the reasons for you to buy it. To get more value for your money, the Infinix Hot 2 partnered with MTN to give a new data plan of 1 GB for N500 every month for one year. The latest Android One device also offers the update feature to get the latest updates via OTA directly from Google as soon as they are released instead of waiting for Infinix to release the update for each of their devices. With these latest feature, you get all android software updates directly from Google (Owner of the Android OS) and not from the device manufacturer. You don’t need to wait for Infinix before you get any OTA software updates or fix. The released Infinix Hot 2 comes with Android Lollipop and will definitely run the next Android M the very week it is released by Google. You can now be free from hanging as the Hottest One comes with a 2 GB RAM to handle all your activities and gives you a smooth experience when running your games and apps. With this specs, no more crashing of HD games on your device. The Infinix Hot2 exploits the battery saving feature of the Android Lollipop and guarantee you an additional 90 minutes of battery life. This “Saving Feature” when activated stop all unnecessary background services and optimize your running program to make your batter last longer. Infinix Hot 2 is unarguably the cheapest priced phone with these amazing specifications and it is available in different colors with built-in damage resistance in case of drops as well as an incredible bold and elegant design. It comes with a dual sim standby feature and a slot for expandable microSD card (up to 64 GB).